Former President, Olusegun Obasanjo has noted that successive administrations in Nigeria have been unfair to a First Republic Minister of Aviation, Chief Mbazulike Amaechi. Amaechi was a First Republic politician and about the only surviving member of the Zikist Movement. He turned 89 last week. The former President said this at the Ukpor hometown of Amaechi in Nnewi South local government of Anambra state during the elder statesman’s 89th birthday celebration. The event attracted dignitaries across the country and Obasanjo, who was represented by Chief Bolaji Osinowo, noted that a man in the status of Amaechi should be celebrated given his contributions to the socio-political and economic emancipation of Nigeria. He said, “I feel that I am in the presence of a living legend. He was a member of the first cabinet in Nigeria and the first team that piloted the affairs of this country. 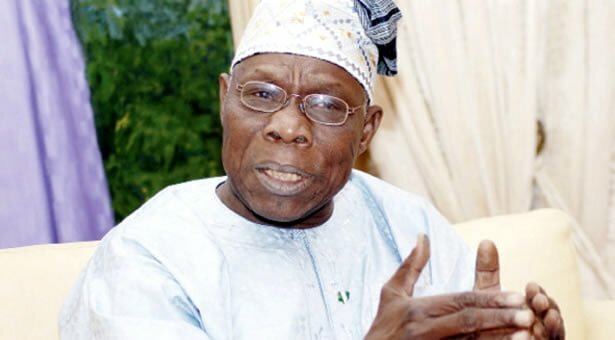 “My duty today is to deliver the message of my boss, former President Olusegun Obasanjo. He had earlier told me to accompany him to Ukpor for this eventbefore he had an urgent meeting in Angola. “He calls you his friend and say you are his senior and with what is happening in the country today, leaders like Chief Amaechi who put their lives on the line for Nigeria is receiving an unfair treatment.